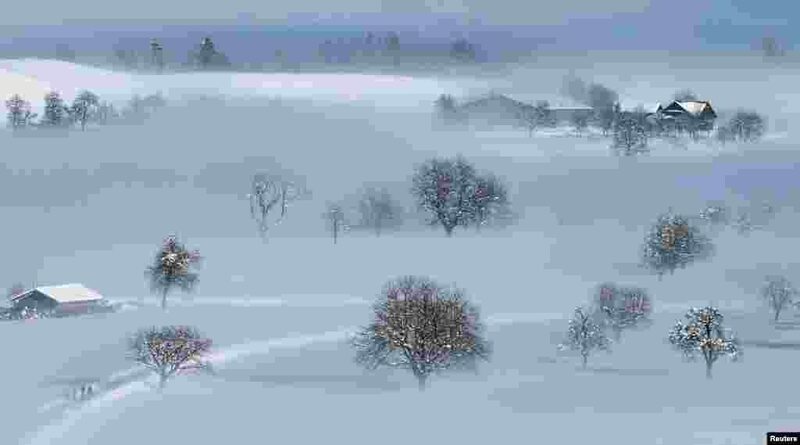 1 A snow-covered landscape is seen near Menzingen, Switzerland. 2 Performers take part in a night parade to celebrate Chinese New Year in Hong Kong. 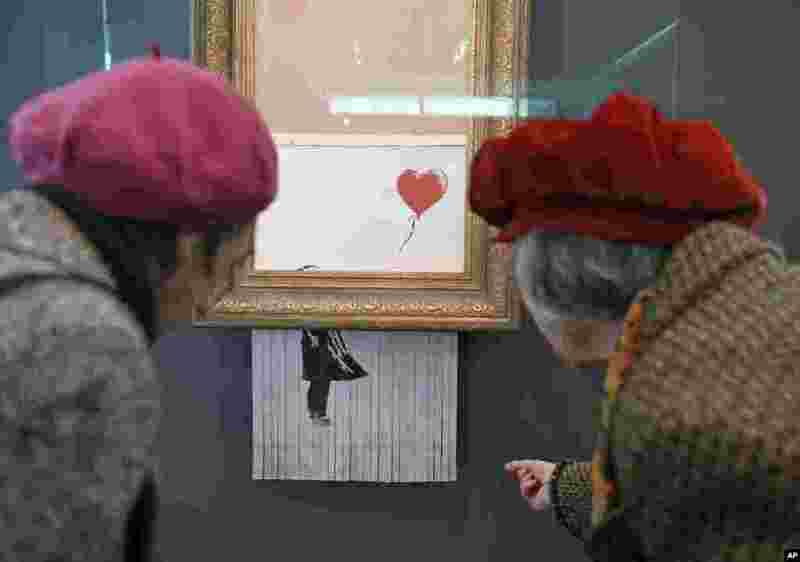 3 People look at the shredded Banksy painting "Love is in the Bin,"at the Museum Frieder Burda in Baden-Baden, where the work will be on display from Feb. 5 to March 3, 2019. 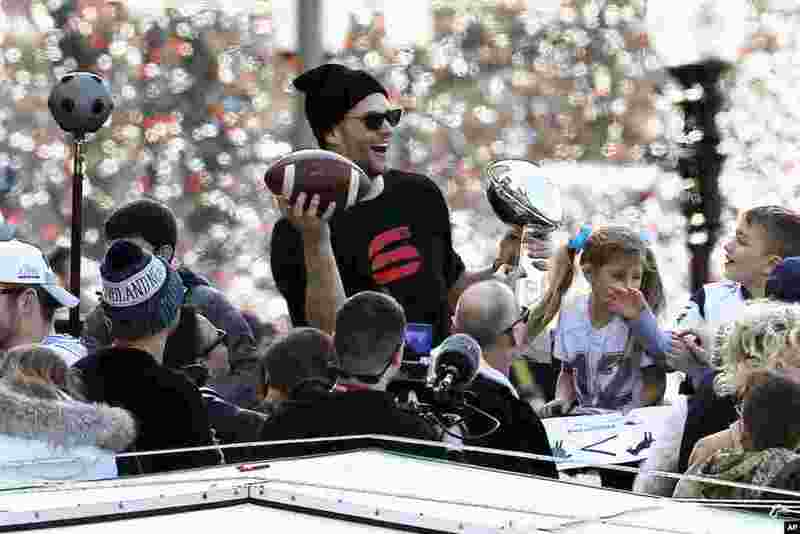 4 New England Patriots quarterback Tom Brady rides a duck boat during the Patriots parade through downtown Boston, Massachusetts, to celebrate their win over the Los Angeles Rams in Sunday's NFL Super Bowl 53 football game in Atlanta.